7 Kids and Us: Forth- Delicious Plant Based Snacks For Everyone! With all the Vegan/Vegetarian/Gluten Free/No Sugar/No Dyes people out there, I have a hard time bringing a treat I can share with my friends when we meet, and we always love to share new things. Recently, I had the chance to sample Forth products. Forth products will never contain dairy, eggs, soy, or gluten. No fillers, preservatives or artificial ingredients either. Additionally, every Forth product contains ingredients which burn at different rates, in order to provide sustained energy. Fruit sugars burn faster than seeds, seeds burn faster than whole grains, and so on. Eating any Forth product will help your body stay energized for a sustained time period. The Belly Bar is by far my favorite! Forth Belly Bars/Bites have a broad nutritional base and a warm, comforting flavor from cranberries, lemon, ginger, apricot and honey. Grandma knew that ginger was soothing to the stomach and that cranberries were good for the urinary tract system and so do we. Grab a Forth Belly Bar/Bite and feel naturally vitalized! The Calm Bars are very good too, and my kids liked them! 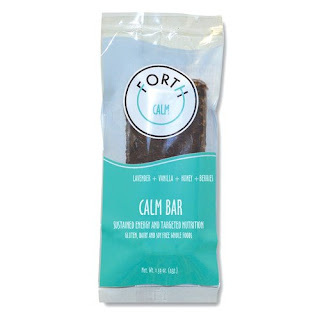 Forth Calm Bars/BItes have a broad nutritional base and a soothing lavender, vanilla, honey and berry flavor. Forth is passionate about using the best ingredients to achieve optimal nutrition and health, and Calm products are a prime example. The play between scent and taste is married in this bar, designed to uplift and soothe the soul! You can check out the whole line of Forth products here.